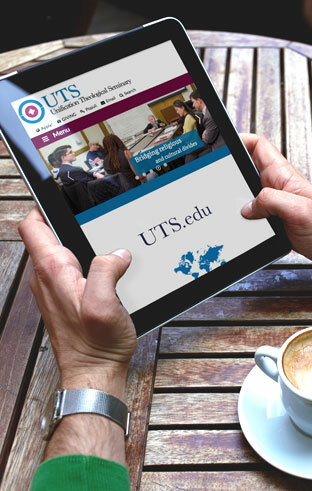 UTS-Online education gives students anywhere in the USA and throughout the world access to courses taught by outstanding UTS professors. Online learning allows you to fit graduate-level study into your own schedule—wherever you are. You will enter a global conversation on subjects that matter to you, with others from around the globe who have diverse perspectives. - Taught byDr. Theodore Shimmyo, Adjunct Associate Professor of Theology at UTS. Dr. Shimmyo served as the President of UTS from 1994-2000. He published many theological articles and such books as Explorations in Unificationism (1977). His ongoing passion is to write more on theology. The Hebrew Bible is the scripture of two faiths; it is the Old Testament of Christianity and the TaNaKh (Torah, Prophets and Writings) of Judaism. For Christians it prophesied the coming of Christ, while Jews value it for the Law of Moses and its record of Israel’s history. We will study multiple viewpoints, Christian and Jewish. The course also introduces the conflicting views about the Bible and how it ought to be read. For traditionalists it is the inerrant truth of God, while moderns apply historical-critical methods seeking the facts of history. Each perspective has something to offer. - Taught by Dr. Andrew Wilson, Professor of Scriptural Studies. Dr. Wilson is a prolific scholar, whose books and papers cover diverse topics ranging from religion and peace to character education to the theory of the spirit world. An online course is either a twelve week intensive or a 15 week (normal semester length) course. The twelve week intensive will cover the equivalent content of a fifteen-week onsite course. Supported browsers and required components. How to update your desktop browser and modify browser privacy settings. Learn about which mobile browsers to use and applications available for mobile devices. Access Instructure's Mobile App Guides. Recommended screen size, operating systems, computer and Internet speed. If you are good at time-management, comfortable with expressing your ideas/thoughts in writing, and enjoy using technology, an online course may be good for you. You need to have time and commitment to study the course material and to maintain learning for the entire period the course is in session. No. You can register as a Non-Degree (non-matriculated) student, see also next question. Yes. You can take any course as a Non-Degree (non-matriculated) student. You learn the same course contents and do the same assignments as Master Degree (matriculated) students. You can take the course by submitting a Non-Degree application. You can take up to 12 credits as a Non-Degree student. To take more courses then you will need to apply for a degree program. Not at this time. UTS, however, plans to offer a fully online Master of Arts in Religious Studies in the near future. The current online courses are a step toward that. This depends in when you took a course the last time. If it is more than one year ago, you need to reapply. If in doubt, send us an email. Click on the "Apply Now!" tab further up on this page and follow the instructions there. You will be given a link to fill out a complete application. At that stage you can choose between Non-Degree or one of our degree programs. There is an application fee of $30 for the Master and Doctoral Degrees. The Non-Degree Application fee is waived. All payments can be done by credit card through Populi. Your credit card issuer will convert your home currency to US Dollars for a fee. If you do not want to pay by credit card, you can purchase an international money order or send a check in US Dollars. At this moment we cannot accept payments in any other currency. These are two different processes for two different purposes. The application gives us your name, address, and other vital information we need for legal reasons. The registration is where you tell us which specific course(s) you are planning to take. Simply fill out the application form and submit the tuition fee. After you submit your application you will receive an email from us with further instructions. Expect emails regarding Online Orientation, email address, access to Populi (our Student Information System). Details for registration are covered in the Online Orientation. A visa is not needed to enroll in the online courses, unless you are also taking courses on campus. In that case several other regulations apply to you. Check with our staff who are trained in visa issues. The program prepares students for church lay leadership; peace-building and social service ministries in churches, faith communities and non-profits; work in interfaith ministries; management positions in churches and non-profit organizations; teaching religion in an academic setting and for those who wish to pursue further graduate work in religion. Using UTS-Online, you can either study towards earning a degree or simply take courses as a non-matriculated student for your personal enrichment as a non-degree student. Your initial application here is as a "non-degree student". This application process is quick and does not require submission of extensive paperwork and transcripts. 1. Fill in all fields. 2. Upon clicking "Submit", you will be asked to verify the Email address you provided. 3. Next, you will receive an Email with a link directing you to fill out the full application. Note: You will be able to return via the link provided as many times as you need. Completed fields will be automatically saved. It is very flexible for me, as I have to work and take care of my children and study at the same time. My honest impression for online course is it’s very convenient. I have multiple jobs and no time to spend in attending school. "I like UTS-Online. It provides enough flexibility to fit my schedule. The professors do a great job."